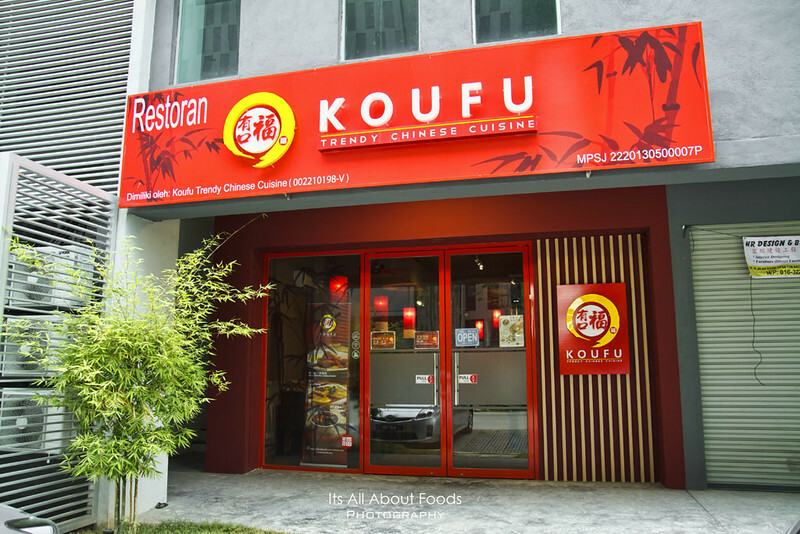 As of May 2017, Koufu Trendy Chinese Cuisine is closed down now. Fuzhou cuisine is one of the four traditional cooking ways of Fujian cuisine, with most dishes being light but flavourful and emphasize on umami taste. In Malaysia, to get a plate of authentic Fuzhou dish, Sitiawan and Sarawak are the only places one can look for. You can hardly find this flavour in Klang Valley. Even if you found, they don’t taste the same. This is what happen to the Marcus’s wife and his family-in-law. His wife, being a Fuzhou, failed to get authentic Fuzhou taste ever since she moved to KL. This has inspired Marcus, the current owner of Koufu Chinese Trendy Restaurant to open this restaurant which serves authentic Fuzhou dishes. 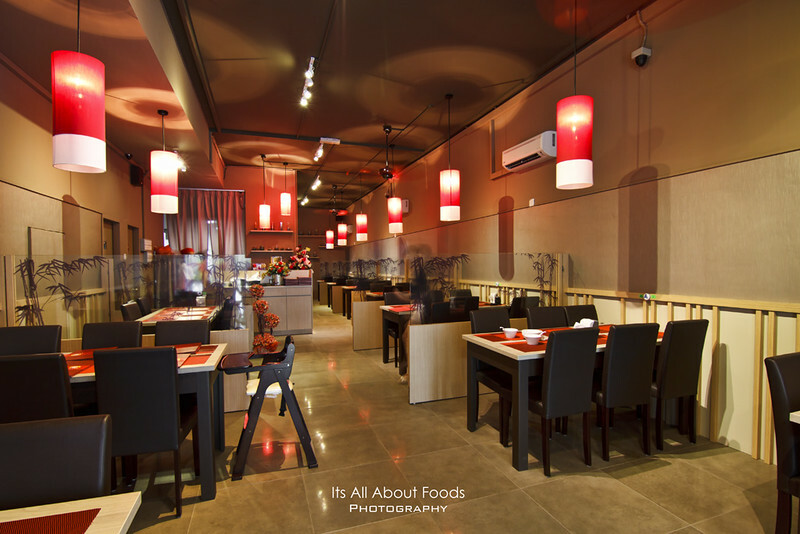 Koufu Chinese Trendy Restaurant tries to maintain the Fuzhou authenticity as much as they can. The chef is his sister-in-law, a Fuzhou who posses all the skills and homecook recipes inherited by the Fuzhou family. Red Wine is housemade by his mother-in-law, while the noodles are handmade by father-in-law, a noodle supplier. Other dishes like kong pneah, kampung koh chilli sauce and mee suah, are sourced from Sitiawan. We found out that soup is served as indispensable dish in their meals, usually cooked in various styles with local seasonal fresh vegetables and seafood. 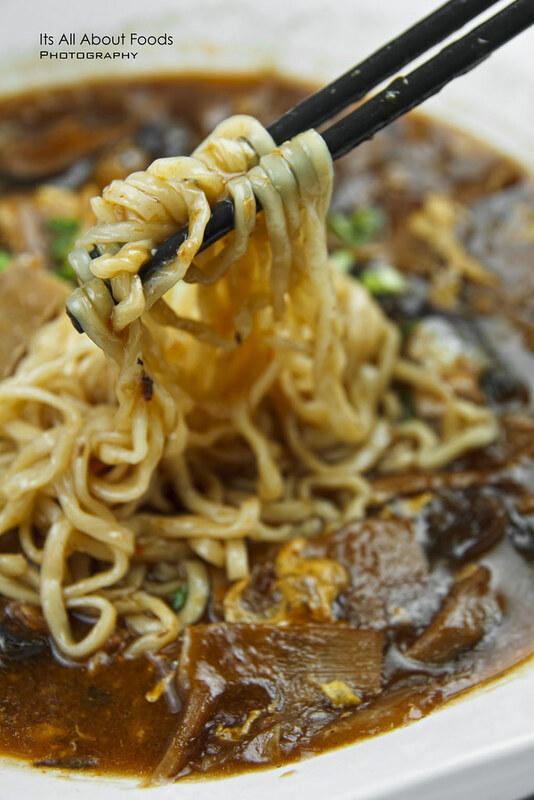 So it is not surprise to see that most signature dishes in Koufu are made up of soup noodles- Red Wine Chicken Noodles, Long Yen Soup Noodle, Koufu Lamian Soup, etc. Each of them stands out in their own flavour, unique yet authentic. 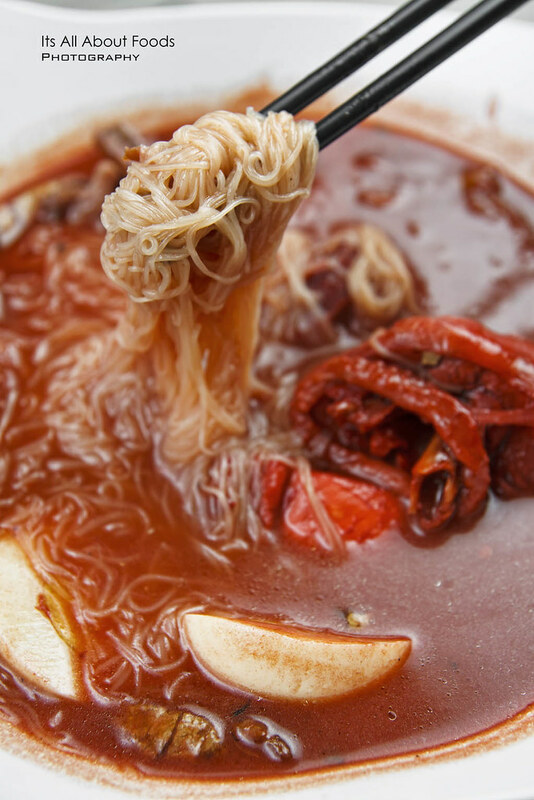 Red Wine Chicken noodle can be said as one of the most famous dishes among Fuzhou community, which is also the girl’s favourite. 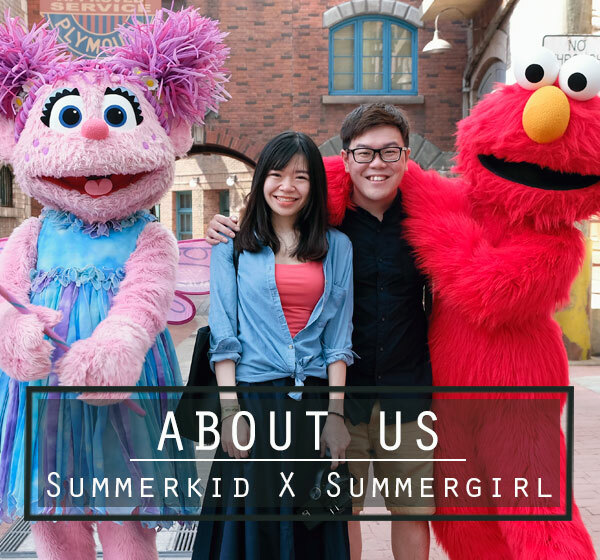 She used to have this few times a week when she was small, but ever since the owner stopped the business, there’s no one selling Red Wine chicken noodles in her hometown anymore. So she requested her mum to cook for her occasionally, but still short of flavour, seeing that the mum is not from Fuzhou community. So when she found out Koufu restaurant in Garden Shoppe One City, she was so happy and by the time she got the sip of this long lost flavour, satisfaction was fully drawn on her face. The whole bowl of noodles is of premium quality from the housemade red wine, handmande Fuzhou mee suah to kampung chicken. The noodle has fully absorbed the flavours of the Red Wine soup, flavourful in taste, velvety smooth and springy in texture. Shredded Bentong ginger and Chinse red wine bring in unique aftertaste – a light fragrance of ginger mingled with subtle sweetness and sourishness of red wine. Other than that, village chicken is used, so no doubt is healthier, firmer in texture compared to farm chicken. 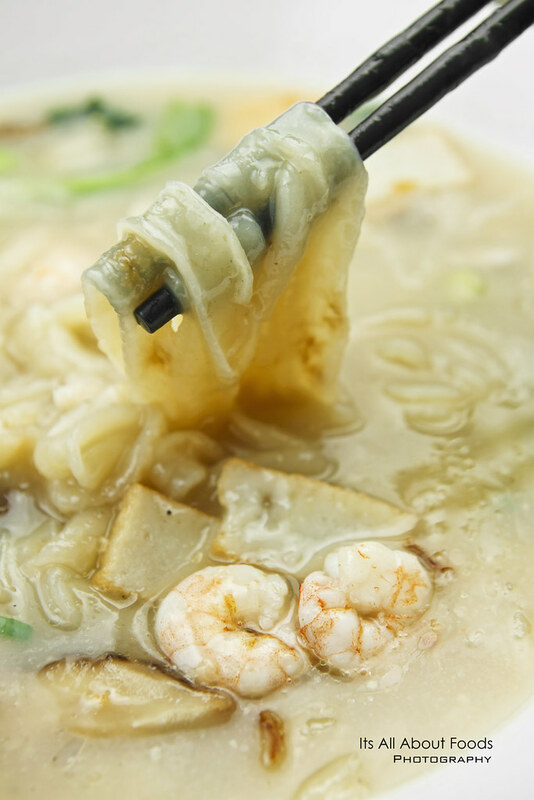 Koufu Lu Mian Mixed with Laksa is a Fuzhou flavour that is very much depends on individual preference. The owner himself said that he is still not use to the taste after trying out for few times. But he couldn’t deny that Fuzhou customers who hoop over to his restaurant give thumbs up to this dish. What that say is: This is really good and authentic. Surprisingly, we love this combination. It is actually very thick, gooey loh mee gravy half infused with the mackeral laksa broth. It is pretty good to be truth. In fact, the light sourish of laksa manage to lighten the heaviness of loh mee gravy. 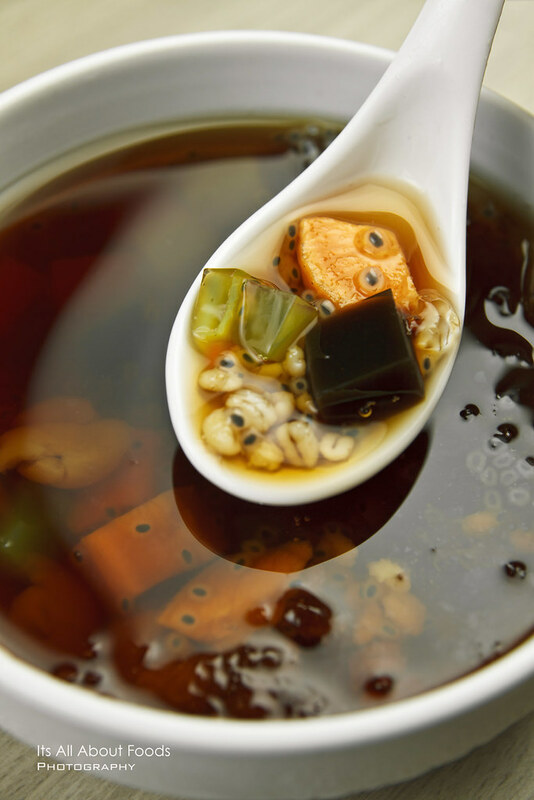 Black fungus, bamboo Shoots, and egg are generously loaded in the soup. So we suspect that for those who can’t take it, probably is due to the strong flavour of bamboo shoots. Koufu Long Yen Soup Noodle is similar to Wat Dan Hor, but not totally the same. While Wat Dan Hor’s gravy is more on smooth and eggy type, this Long Yen Soup was thicker, more starchy. Noodle is chewy in texture, handmade using tapioca starch, flour, and egg. Taste wise, we would say that this is the only dish we are not used to. Flavours are rather pale, and we definitely need chilli to pair it with. Chewy texture of the noodle seems to be the only thing we like about this dish. But no doubt it is a bowl of hearty, tummy warming noodle. Portion is huge for two persons to share. 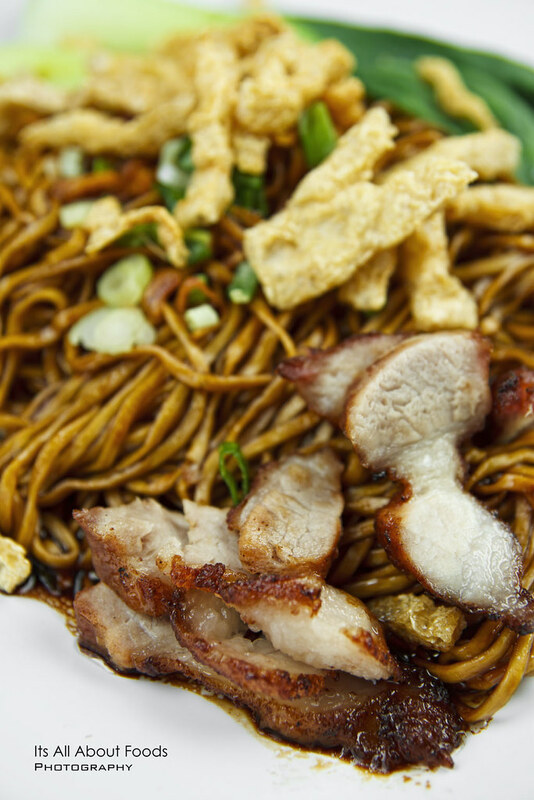 Handmade wantan noodle tossed with soy sauce, topped over with fried meat, deep fried bean curd stripes and sided with a bowl of wanton soup. A flavours which is more common and can be easily accepted by general taste bud. Other than Red Wine Chicken Soup and Kampong Koh Chilli Sauce, Kong Piang is yet another Fuzhou dish that symbolizes Sitiwan. This famous biscuit has always draw a long queue in Sitiawan Kong Piang shop especially during holiday, waiting time can be horrible, few hours are considered normal. Now, you do not have to travel all the way down to Sitiawan for this biscuit, as Koufu has ‘imported’ them from Sitiawan, so you can taste the truly authentic Sitiawan Kong Piang now in Klang Valley. 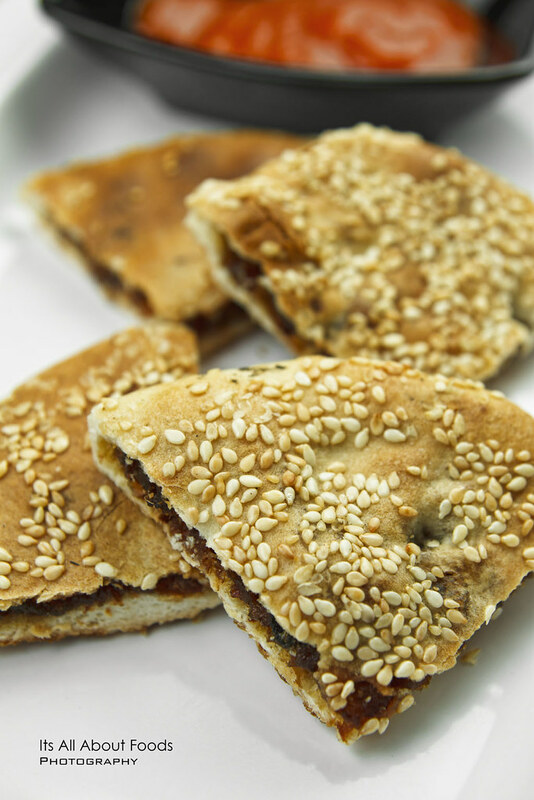 While the one we have in Sitiwan is more crispy, toasty, Koufu Kong Piang which is sourced from different Kong Piang shop in Sitiawan promotes a more doughy, chewy texture with generous meat filling and more sesame that adds on fragrance flavour. The must order in Koufu! 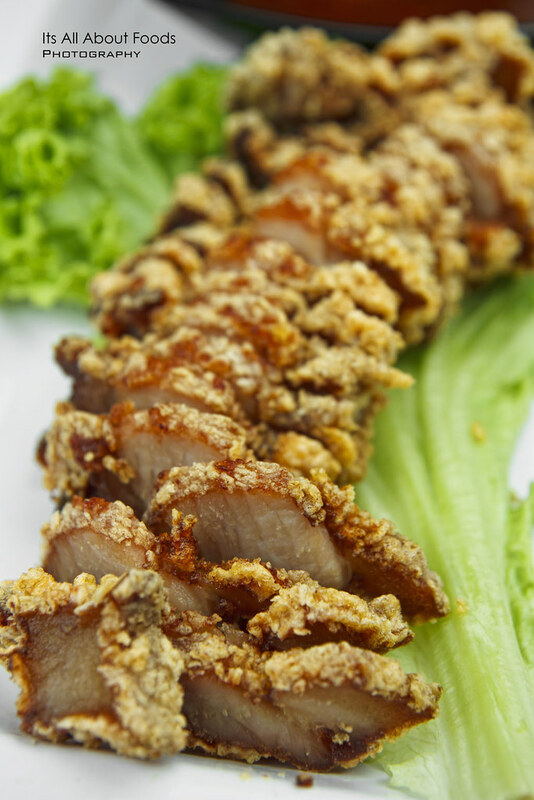 Marinated and deep fried, this thinly sliced deep fried meat is so crispy with juiciness of meat locked within, so addictive that we could hardly stop forking one after another one into mouth. Good stuff. Generously loaded with 10 ingredients like sago, jelly, sweet potato , poppy seed, cincau, barley, longan, etc., this sweet soup is plentiful in texture and colours. Brown sugar, longan, and winter melon are used to boiled the soup based, chilling and ideal for a hot weather. The food photos are awesome! Mind to share what camera and lens you use? And do you use any wireless flashes? Thanks a lot!